Podcasts based on fiction genres — like drama or horror — are a booming area in the podcast universe, which so far has been dominated by reality-based offerings. Long before our multi-screen, multi-platform world existed, people used to huddle around a radio to listen to the latest episode of a drama series. Today, this old art form has been given new life in the form of podcasts. Fiction genres — like drama or horror — are a booming area in the podcast universe, which so far has been dominated by reality-based offerings featuring true crime, news or interviews. That they're mobile and often free has also helped bring them to a larger audience than ever before. New York-based podcast company Gimlet Media says fiction has untapped potential for audience growth in the podcast arena. 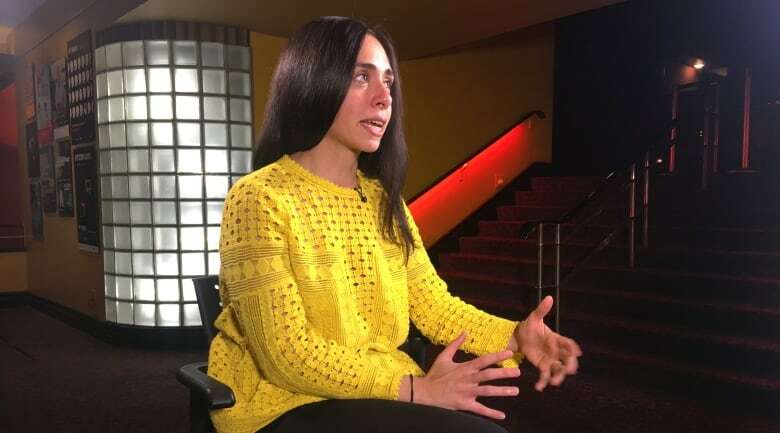 "Fiction really is our big bet for, like, groundbreaking new content that doesn't sound like anything else," says Nazanin Rafsanjani, Gimlet's vice-president for new show development. The bet has already paid off: Gimlet's first scripted series,Homecoming, proved so popular that Amazon turned it into a Golden Globe-nominated TV series starring Julia Roberts and Canadian actor Stephan James. "What's exciting about fiction is that you can tell any kind of story … if you have the right talent writing it and creating it." Gimlet also produces the macabre tale The Horror of Dolores Roach and a comedy, Sandra, starring Kristen Wiig. 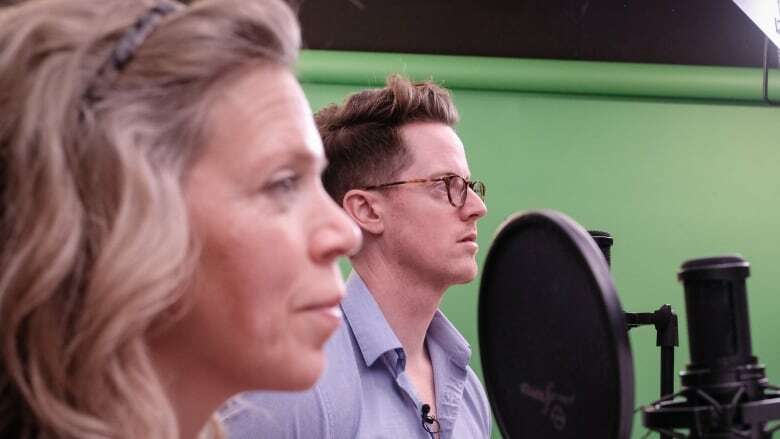 A Toronto team has taken Canadian plays and turned them into serials on the PlayME podcast, bringing homegrown talent to listeners around the world. "We want playwrights to become a household name," says Laura Mullin, co-creator of PlayME and co-artistic director of Toronto's Expect Theatre. After 20 years in the Canadian theatre industry, Mullin and business partner Chris Tolley set out to put a bigger spotlight on Canadian writers and talent. "We just wanted to have an opportunity to take the great work that we were seeing and let a larger audience [hear] it," she says. Since its launch in 2016, PlayME has received more than one million downloads in more than 90 countries, and has ranked as high as #2 in the Arts category on the iTunes chart. "We've heard everything from people telling us that they're listening to learn English [to] people that are going out to [see] shows because they had heard a play," says Mullin. She hopes programmers and artistic directors are also listening. The PlayME catalogue, which is now on CBC's roster, features a diverse range of stories from coast to coast, with 60 per cent of the writers female and 60 per cent people of colour. Hannah Moscovitch, a Dora Award and Trillium Book Award winner, says podcasts make Canadian theatre much more accessible because audiences don't have to be local or shell out for pricey tickets. "This way people can access the work all the time, whenever they want. I want people to be able to hear my work." A series of letters she discovered inspired her to write the story about a young wife trying to get legal birth control in Ottawa in the 1920s, which has been turned into What A Young Wife Ought To Know. "I loved the intimacy of radio drama," she says. "I'm happy that it's coming back in this way." Preview PlayME's next play: Listen to this digital exclusive of part one of What a Young Wife Ought to Know by Hannah Moscovitch. All three episodes will be available via the PlayME podcast on Jan. 15 on Apple Podcasts, Google Podcasts and cbc.ca/playmeCBC. Gimlet's Rafsanjani sees the interest in, and development of, fiction podcasts only growing with the proliferation of household audio-capable devices like Google Home and Alexa. "We are really just thinking about how people are going to consume audio in the next year or two years." Fictional podcasts, Mullin says, bring us back to traditional storytelling. "It is an opportunity for people to put down their screens and not stare at their phones and to listen and use the theatre of your imagination," says Mullin. "Nothing is going to be as powerful as what you'll create in your mind yourself." Here are four fiction podcasts on our radar. 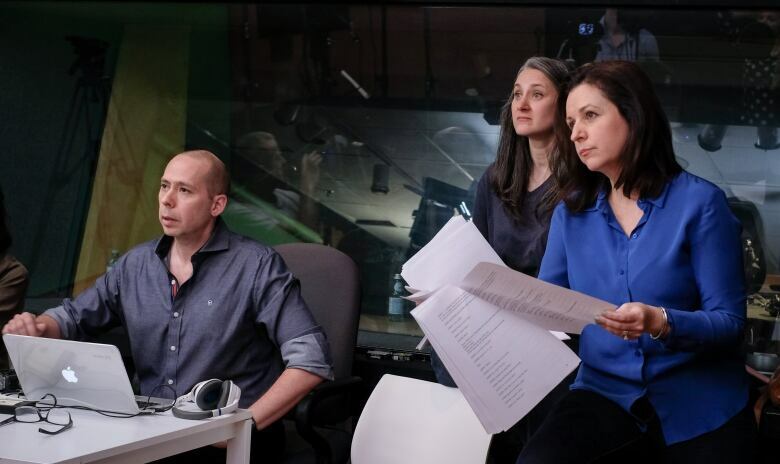 Expect Theatre's PlayME is a new addition to the CBC Podcasts slate. The series showcases freshly recorded Canadian plays from some of the country's most notable playwrights. This season, five titles are available including Prairie Nurse, a story about two Filipino nurses in the 1960s adjusting to life in the Prairies, and Huff by award-winning Indigenous writer Cliff Cardinal. Homecoming tells a mysterious story about a soldier who partakes in an experimental program for war vets. The original voice actors featured big names like Catherine Keener, Oscar Isaac and David Schwimmer. Its success as a podcast inspired an Amazon Prime adaptation starring Julia Roberts, Canadian actor Stephan James and Bobby Cannavale, with the series earning three Golden Globes nominations, including best drama series. Not for the faint of heart, this scripted horror stars Broadway actress Daphne Rubin-Vega as Dolores and Bobby Cannavale. Dolores, fresh from a 16-year prison stint, returns to her New York City neighbourhood to find it has drastically changed. She goes to extreme lengths to survive. It's a macabre tale that involves cannibalism, love, betrayal — and empanadas. Imagine if 300 men, women and children suddenly vanished from a small Tennessee town. That's where Limetown begins. Each episode is guided by Lia Haddock, a journalist trying to figure out what happened and where they went. The dark, eerie show shot to number one on the iTunes charts after its debut in 2015. Its second season was released this past fall.